The emergency lights are very useful for the people, especially at the time of crises they can see clearly and can move faster to reach to the safest place with the help of these emergency lights. 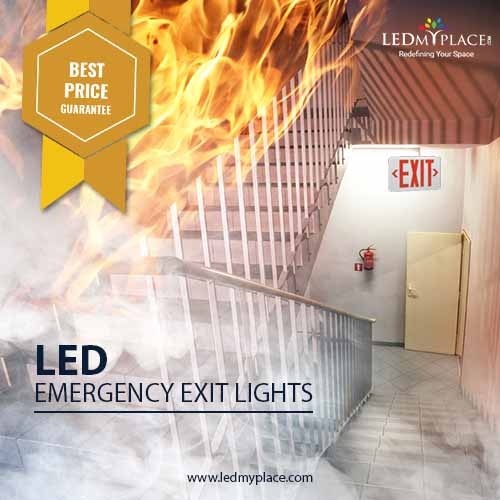 If you are also looking to buy emergency lights for your place, then buy the LED emergency lights that worker smarter than the normal lights allowing you to leave the building or place at the earliest and reach to the safest location. ● These square LED emergency lights feature 12 pieces of SMD LEDs that are placed inside these lights, they use just 2.5w of electricity to produce 180 lumens that is sufficient to move fast in case of emergencies. ● You will get 90 minutes lighting option even in case of the power failure that is sufficient time to evacuate the place. ● Once purchased, these square shaped LED emergency lights can work for more than 50,000 hours. ● Comes with 2 years of warranty from the manufacturer’s end, also these IP20 rated lights can protect themselves from the dust particles of up to 12 mm. ● Use these lights anywhere where the temperature ranges between 0℃~40℃ and are also protected against overcharge and over-discharge. ● These white colored lights come with the color temperature of 7500K. So use these LED emergency lights that provide a safe and easiest passage to the people in case of power failure or at the time of emergencies as well so that people can move safely and calmly without creating stampede like situations.